"Inside the exact office at CERN, Switzerland where the World Wide Web was launched in 1990 and then further developed throughout 1991. Originally intended for academic file-sharing, the web quickly exploded across the public sector." 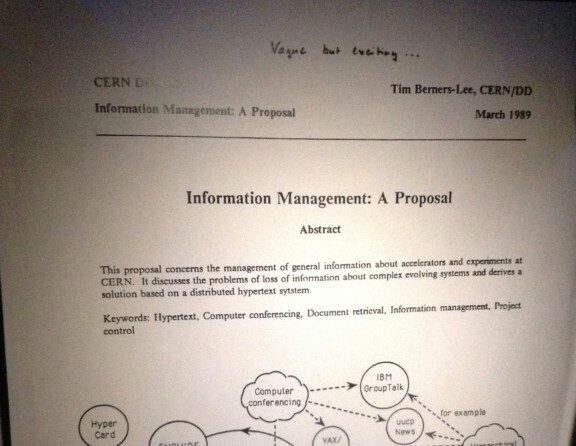 On Christmas Day, 1990, Tim and his colleague Robert Cailliau breathed life into the World Wide Web by sending a “page” from CERN via the internet. Few know that the web only came to America the following year, when Paul Kunz brought the software from Switzerland to Stanford. The rest is history—a history that all of us share, especially if you are reading this on a computer. 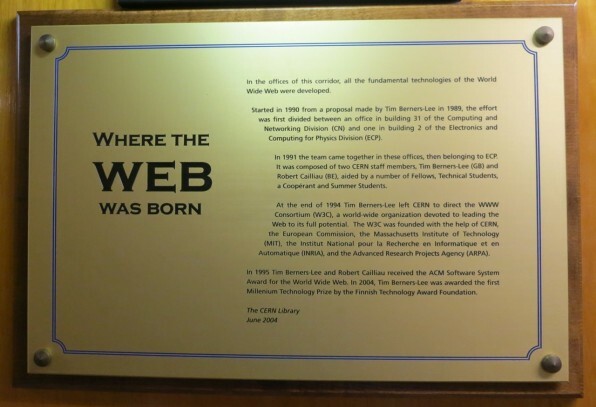 [T]hen there we were, standing in front of a plaque that read: “Where the Web Was Born”. As if I was standing inside some hallowed cathedral, I whispered the first line of the plague: In the offices of this corridor, all the fundamental technologies of the World Wide Web were developed. I stood in awe at the doorway of Office 005. A poster of Yosemite National Park was taped across the glass and when I opened it up, I saw three scientists, all tapping away at their computers, in the dark. They looked up from their work and stared at me as I took a picture of the most non-descript room on earth—a room where an idea was born that changed everything. 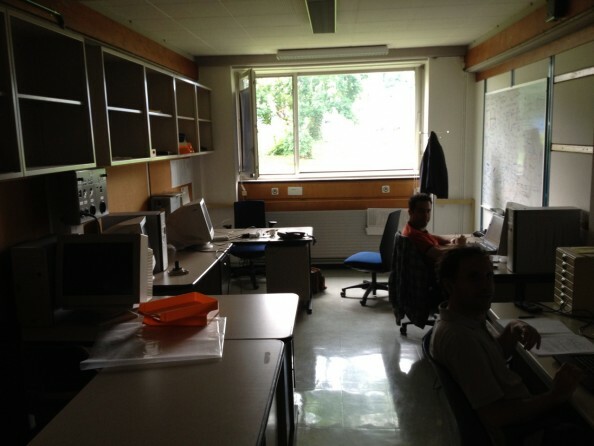 “Did you know that the web was invented here?” Mick asked the visiting scientists. “What, in this room?” one of them asked. “Yes, right where you’re sitting,” he answered. And like that, the scientist got up, walked out the door and took a picture just like I had done. This little-known relationship between the Age of the Atom and the Information Age - between the Large Hadron Collider and the birth of the World Wide Web - reminds me of a prediction made by Peter F. Drucker. Shortly before he died, Drucker claimed that stellar investment opportunities in the Information Age would arise in ways which were not self-evident or immediately apparent to those who were searching for areas to invest. He claimed that new economies would explode in sectors of secondary or tertiary activity - offshoot areas, removed from the main, obvious rise of high tech tools. His example was aquaculture. Computers had enabled the first period in history when humans were able to establish successfully working fish farms. But Drucker could equally have pointed to a great crossroads between the sciences and the humanities, to the World Wide Web, the Internet tool which transformed global history, and was born out of the search to split the atom. It's interesting that even the scientists who work there don't really grasp it. Hi J., they have other preoccupations, as you'll see in tomorrow's post. If you click on the photo, it should open to a larger version which is barely readable.